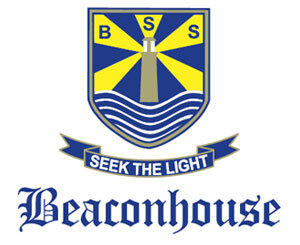 So far, thousands of students have graduated from Beaconhouse schools. They are found in all walks of life – in education, medicine, politics, business, civil service, the arts, fashion, and sport. By achieving an outstanding result of 23 As in a range of GCE O Level subjects in 2010, Ibrahim Shahid proved his intellectual ability beyond doubt. He was chosen as an Ambassador for the Beaconhouse School System and participated in various activities involving public speaking and debates on different forums such as the Model United Nations Conferences. Ibrahim won seven Best Delegate Awards and several others for his display of outstanding diplomacy in these conferences. Ibrahim was awarded a fully-sponsored internship on poverty alleviation by Grameen Bank in Bangladesh. As the School Ambassador, he was also sponsored for a two-week summer programme at Newlands, UK. 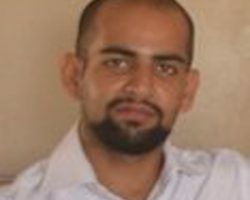 Ibrahim also writes as a freelance journalist in many local newspapers. Sheharyar Ahmad is a Consultant, Commerce Finance Division at Robert Walters in Hong Kong. Robert Walters is an award winning business and one of the world’s leading global specialist recruitment and recruitment outsourcing businesses. 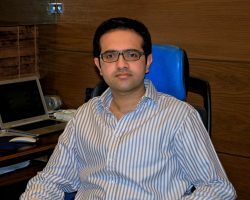 He has done BSc (Hons) Economics and Mathematics from Lahore University of Management Sciences and has achieved the first position from all of Pakistan in the 2012 Civil Superior Services (CSS) examination. A graduate of Beaconhouse Cambridge Branch, Karachi (now PECHS Campus), Mir Zafar Ali is a talented and creative Visual Effects Specialist. Ali was the Technical Director of the team that won an Oscar for best visual effects in 2007 for the movie The Golden Compass. Imitating and producing effects for natural phenomena is his forte. 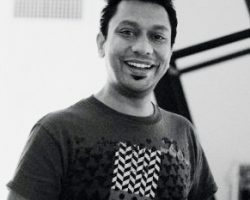 Ali specialised in visual effects from Savannah College of Art and Design, US. He is currently working with Rhythm & Hues Studios, US and is the Visual Fx Team Lead on Percy Jackson 2. His last project was The Life of Pi. Ali has worked with prestigious organisations such as Sony Pictures Imageworks and Digital Domain. He is married to Tamanna Shah who works at Film Production, California as Line Producer/UPM/Production Supervisor. Other movies to his credit are: The Cabin in the Woods (2011), X-Men: First Class (2011), Hop (2011), Yogi Bear (2011), Island of the Lost (2009), The Mummy (2008), The Incredible Hulk (2008), Spiderman 3 (2007), and Ghost Rider (2007). 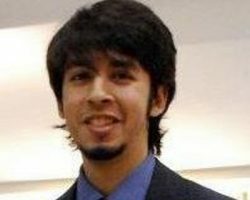 Osama is currently working as a Consulting Analyst at Deloitte in the UK. He is a graduate of Beaconhouse Defence Campus. He has a Bachelor’s Degree in Biological Sciences from the University of Warwick, UK. At Warwick, he received the Biotechnology and Biological Sciences Research Council (BBSRC) Research Scholarship, the Genes and Development Research bursary funded by the Genetics Society, and the URSS Research Scholarship at University of Warwick. He also has a BCS International Diploma in Business Analysis and Solutions Development from the British Computer Society. Hafsa Asad did her O Levels from Beaconhouse and achieved 8 As. She is currently working as an Audit Executive at Ernst & Young. Hafsa completed her Bachelors of Commerce degree in Finance with 1st Division from the University of Karachi. She is a member of the ACCA Chamber and has done her ACA from the Institute of Chartered Accountants in England and Wales. She has been also been seconded to Dubai, twice, by Ernst and Young. Rizwan Amin Sheikh is the Director Finance at the Beaconhouse Group. He was a Beaconhouse student from 1980 to 1987. He completed his Chartered Accountancy from KPMG Taseer Hadi 11 years ago and, since then, has worked in more than 15 countries in Asia, Europe, Baltic States and Africa. His last job in Pakistan was as Chief Financial Officer (Director Finance) of Service Sales Corporation, while his most recent job in Dubai was as Chief Strategy Officer for an oilfield company – a role that combined corporate finance, business development, and corporate strategy. He has a total work experience of 16 years and has conducted deals, business audits, and business development in many countries across Asia, Middle East, and Europe. Laila is currently a Graduate Student Researcher at the Center for Watershed Sciences, University of California. Laila is also a part of the Harvard Water Security Initiative. 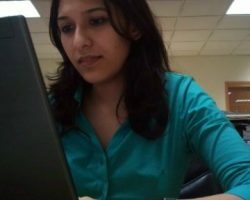 She has been a Hydraulic Engineering Intern with the US Army Corps of Engineers and graduated from Beaconhouse Liberty Lahore in 2009. She is also doing an MSc in Water Resources Engineering from UC Davis. Laila has been a student at Harvard University as well, where she studied for a degree in Hydrology and Geomechanics. She has worked as a Volunteer Educator for the Marian Koshland Museum of Science, US and as a Lab Assistant at Harvard Laboratory for Particle Physics and Cosmology. At Beaconhouse, Laila participated in debating and public speaking activities, was the Editor-in-Chief of the annual school magazine, and the President and Founder of Liberty Book Club. Shujaat Ahmad a Senior Consultant, Strategy & Operations, at Deloitte Consulting, did his A Levels from Beaconhouse. He then enrolled at the University of Toronto for a Bachelor’s degree in Applied Science – Mechanical Engineering. Shujaat is a Management Consultant with over seven years of Supply Chain Management experience, leading strategic initiatives for global leaders within the Heavy Equipment Manufacturing, Consumer Packaged Goods (CPG), Retail, and Energy and Resources industries. 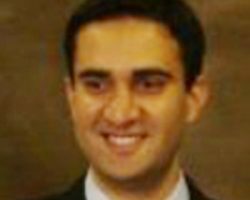 Saad has worked as an Audit Senior at Ernst & Young Pakistan. 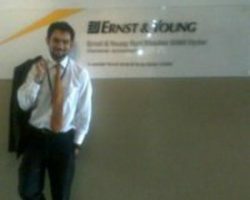 He has been with Ernst & Young for over four years. He did his A Levels from Beaconhouse in 2005 and then qualified the ACCA exams privately. 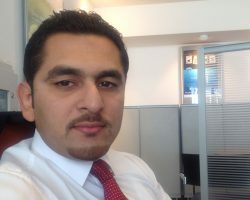 He is currently working as Senior Auditor at Deloitte Middle East. 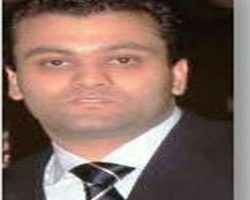 Saad has been an affiliate of the Association of Chartered Certified Accountants since August 2010 and is a CA Intermediate. Saad has worked with Ernst & Young in the Assurance Advisory and Business Services having extensive experience in auditing Financial Services Clients. 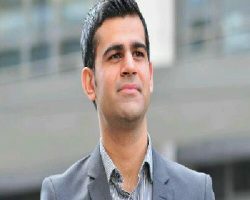 He has also worked at Ernst & Young LLP, UK. Muhammad Chaudhry is currently working as a Complex Flex Products Analyst at Centrica, UK. He is a diligent leader and a true analyst. 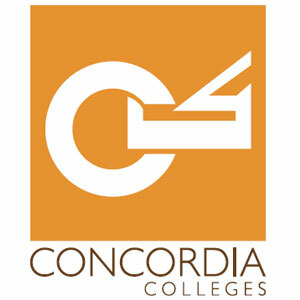 He is highly respected in his field of expertise and gives his time and knowledge to others happily. 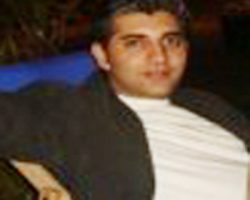 He is a graduate of Lahore University of Management Sciences with a Bachelors of Science (BSc) in Economics and Maths. Previously he has worked as a Gas Pricing Manager at Centrica. 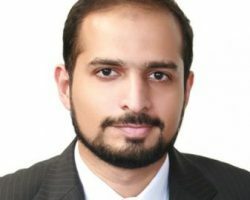 Shayan is a graduate of Beaconhouse Defence Campus and is currently working as a Senior Associate at PricewaterhouseCoopers (PwC) in Saudi Arabia.He did his BSc Hons in Accounting and Financing from LUMS in 2009 and completed his ACA from the Institute of Chartered Accountants of England and Wales. Ali is currently working as a Business Analyst at Deloitte Consulting in New York. He is the Founder and President at Possibilities Pakistan, a non-profit organisation that aims to provide effective college counselling to Pakistani high school students. He has a BA Honours degree in Economics and Mathematics from Wesleyan University. He did his A Levels from Beaconhouse Defence Campus in 2008. Shahrukh Raheem is a graduate of Beaconhouse Defence Campus, Lahore with a Bachelors of Engineering (Hons) degree and a minor in Business Management from National University of Singapore. He is currently working as a Business Analyst at Credit Suisse in Singapore and has been there since he graduated in May 2009. 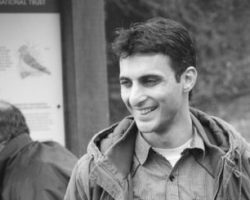 With an engineering degree and a minor in business management, he was naturally interested in working in a domain that combined both these interests in technology and front-end business. His job encompasses various projects such as the Premium Client Reporting project for the ultra-high and high net worth clients and various initiatives with the Credit Suisse Business School like the Awareness Forum. He works with different business groups to establish their needs, analyse these needs, discuss solutions with both internal and external consultants, and oversee the strategic planning and problem identification process. Sidra Iqbal is a well-known TV personality, PR Practitioner, Brand Activist, and Youth Development Advocate. She is a graduate of Beaconhouse Gulshan Campus in Karachi. Sidra rose to prominence when she became the first Pakistani to win the prestigious English Speaking Union’s International Public Speaking Championship in London. During her student life, she acted as a Youth Ambassador and a Change Activist at a variety of forums all over the world. She has worked at the British Council, ARY and Ogilvy & Mather, and has hosted and produced talk shows for television and radio. She is interested in a range of disciplines, which led to her winning a full scholarship to attend the International Relations Summer Programme at Oxford University, UK. Sidra has been part of several international youth forums, owing to her interest in international relations, education and training. Currently, she runs her own PR firm. Hammad Azim graduated from BSS Rawalpindi in 1993 and went on to complete his Diploma in Hotel and Hospitality Management from Australian International Hotel School. 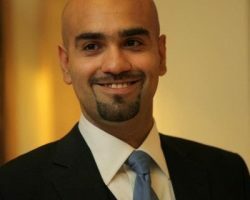 In 2001, Hammad completed his Bachelor’s degree in Business Administration from Bond University, UK. He then furthered his marketing skills with an Executive Programme in Marketing from Kellogg School of Management – Northwestern University, US in 2010 and an MBA from the University of Southern Queensland, Australia. Hammad has worked with various multinational companies and is presently Director Marketing Pakistan for Red Bull. 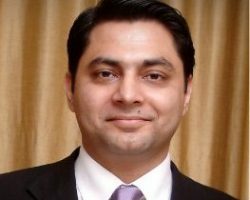 Previously, he held the position of Head of Brand Activation for Ufone from 2007-2010, and was Manager Marketing Operations for Ufone GSM from 2004-2007. Fouzia graduated from Beaconhouse in 2003 and is currently working as a Financial Adviser for Shell Pakistan Limited. 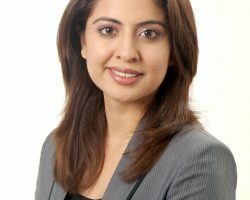 She has previously worked at A F Ferguson & Co.
Fouzia studied Accounting and Finance at Pakistan Institute of Public Finance Accountants and did her BCom from Karachi University in 2009. Khadija Bakhtiar completed her A Levels from Beaconhouse Rawalpindi and enrolled at the Lahore University of Management Sciences, where she completed her Bachelor’s degree in Economics. Khadija then went on to pursue her Master’s degree in Public Policy at the prestigious University of California, Berkeley, US. She has a vast experience since she has worked with local and international NGOs, think tanks and public sector organisations, dealing with issues related to gender violence, child protection and development. She is presently the Chief Executive Officer of ‘Teach for Pakistan,’ a Non-Governmental Organisation that works to educate children living below the poverty line. Khadija is a renowned educationist, trainer and motivational speaker, who has spoken at various national and international conferences. 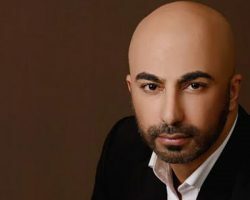 Hassan Sheheryar Yasin, a graduate of the Beaconhouse Defence Campus, Lahore, is the man behind HSY, a fashion label started in 2000, which employs over 350 staff. He won Pakistan’s Lux Style Fashion Designer award in 2006 and has an honours degree in couture from the Pakistan School of Fashion Design. Traditionally a bridal and formal wear couture house, HSY has now also introduced lines of home furniture and interior design accessories. His current clientele includes royal families in the Middle East, socialites in South Asia and, more recently, in the US and Europe. HSY currently houses its flagship studio in Lahore, with complementing stores in Karachi, Manchester, Houston and Dubai. Future stores are planned in New York City and Toronto. Mehroz is currently working as a Wealth Manager at Citibank Dubai, UAE. He did his A Levels in Physics, Maths and Economics from Beaconhouse in 2004 and BSc in Economics from Lahore University of Management Sciences in 2008. Shahjahan Samad is currently working as a Project Manager/Team Lead at Google Inc. He works for Google Inc as an independent contractor on projects for the development and enrichment of Freebase, Google’s online social database. With 13 years of experience in the IT industry, he is a professional who has been involved with Project Management, Software Development, Business Analysis, Technical Documentation, Public Speaking and Training. 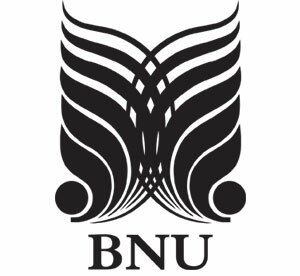 Shahjahan has a BCS from the National University of Computer and Emerging Sciences (NUCES). He did his O Levels and A Levels from the Beaconhouse School System. 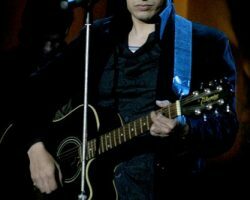 Also known as Prince of Pop, Ali Zafar is a Pakistani musician, actor, painter and model noted around South Asia for his music. Zafar won the “Youth Icon” award from the Lux Style Awards 2007, in Malaysia. He won the Best Male Artist for 2008 at the MTV Awards. Ali graduated from Beaconhouse Defence Lahore, and did undergraduate work at the National College of Arts. Mateen Kirmani is the Head of Strategy and Commercialisation at InterClo, Singapore. He has a Bachelors in Business Administration (Marketing & Logistics) from National University of Singapore. Zahra Saleha Ahmad has recently joined the Beaconhouse School System as Manager English Curriculum. 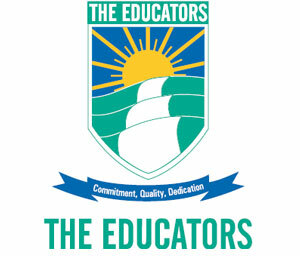 She has a Master of Education (EdM) in Learning and Teaching Instructional Leadership (ELA) from Harvard University Graduate School of Education. She is a recipient of the Fulbright Scholarship and the HGSE Leadership Scholarship. Mariam Abdul Ahad is working as a Credit Management Manager at Hum Network Limited where she is leading a team of 6 people to ensure timely and accurate billing and recovery. Her previous work experience includes working as an Audit Senior for Ernst & Young. She is a dynamic, confident and enthusiastic Chartered Accountant (ACA). She did her O Levels from Beaconhouse in 2004. Ahsan Bashir is an alumnus of Johar Town Campus. 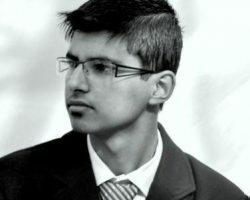 He did his O Levels from the school with an exemplary result, and went on to study Petroleum Engineering at the University of Engineering and Technology (UET), Lahore. He has worked for Marri Gas Company Limited for four years as a Petroleum Engineer, and has recently joined the Abu Dhabi Company for Onshore Oil Operations (ADCO) on a full-time basis. Maham is currently working as a Management Trainee at Nestle Pakistan. 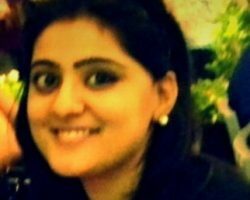 She did her A Levels from Beaconhouse in 2007 and went on to achieve a BSc in Economics and Finance from Lahore School of Economics. She has interned at the Coca Cola Beverages Pakistan Limited and Dunya TV. 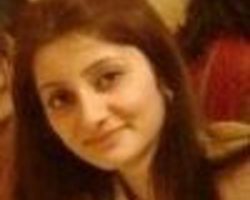 Aisha Mir is a legal associate at Net Lawman. She is an analytical and bilingual lawyer with a specialisation in company and insolvency law. She has done Master of Laws (LLM) in Corporate and Financial Law from Kingston University and Bachelor of Laws (LLB) from University of London. Anees Khawaja is currently part of a family-owned business, a textile group that has about 10,000 employees. He is a graduate of the batch of 97 from Beaconhouse Multan Main Campus. He did his Masters and Bachelors in Business Administration from BZU, Multan and went to London School of Economics for advanced courses. Anees is the Head of APTMA, Southern Punjab, and the President of the DG Khan Chamber and an Executive Member of the Multan Chamber of Commerce. He is currently managing and running six government schools in remote areas with the help of certain organisations and two English-medium primary schools in remote areas. Fseeha is a bright and achievement-driven management professional, who aspires to be the best in everything she does. After completing her A Levels from Beaconhouse in 2005, she enrolled at National University of Science and Technology, where she received a Bachelor’s degree in Business Administration (Hons) – Finance and Investment, and a Master’s degree in Business Administration – Human Resource Management. She is currently working as a Human Resource Manager at the British Council. Her previous work experience includes working as a Business Analyst and a Human Resource Manager at Askoli. Muhammad Ali Raffat did his A Levels from Beaconhouse Defence Campus, Lahore and received a Bachelor’s degree in Accounting and Finance from Lahore University of Management Sciences. He also represented LUMS at the International Rugby Championship in Dubai. He completed his MSc Finance with overall distinction from Warwick Business School, UK. Ali is currently working as an Associate Relationship Manager, Wholesale Banking at Standard Chartered Bank Pakistan. Maheen did her A Levels from Beaconhouse in 2006 and was the Head Girl from 2004-2005. 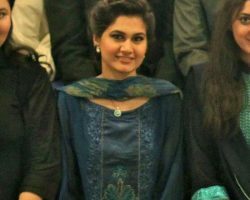 She completed her Bachelors in English Literature from Kinnaird College, Lahore and MPhil in Mass Communication with a gold medal from Beaconhouse National University. She was awarded a distinction by the British Council in A Level Psychology. She is currently a subeditor at International High Profile Fashion and Lifestyle magazine. She also submitted a research paper on ‘Representations of Women in TV: A Content Analysis of Dramas of Geo and Hum’ at BNU. 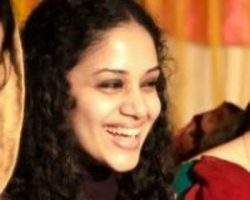 Maryam Suheyl is Pakistan’s first certified Marriage and Family Therapist. She did her O Levels from Johar Town Campus and went on to do her FSc from Kinnaird College. She graduated with honours from Beaconhouse National University (BNU)’s Psychology Department and won the Fulbright Scholarship to study for an MSc in Marriage and Family Therapy at the prestigious Northwestern University in Illinois, US. 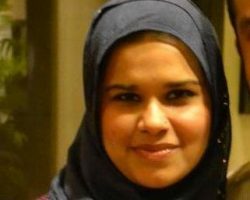 She has previously worked with reputed organisations including Express News and Care Foundation and currently works at The City School Network as the Head of Career Counselling. She is also a well-known therapist who practises at the Tanwir Ahmed Medical Centre in Gulberg, Lahore. Zahrah Sodhi is working as Deputy Manager Business Development at the Beaconhouse School System. She has an MBA in Marketing from Lahore School of Economics and BSc (Hons) Economics and Finance from Lahore School of Economics. She did her A Levels (Business, Law, GP) from Beaconhouse School System. 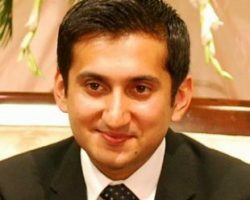 Shahzaib graduated from Beaconhouse in 2004 and has a BA (Hons) degree in Economics and Finance from the University of Manchester. He is currently employed as an Audit Assistant Manager in the Industrial Markets Audit Department. Shahzaib is the Founding member, Ex-President and Adviser for Genus Prodigious, an organisation he founded to promote social sustainable development in his hometown with the help of volunteers. The movement has now expanded to more than 2,000 volunteers in 12 different countries. Projects vary from massive tree plantation drives to interest-free micro-financing. Zainab is a graduate of Johar Town Campus, from where she did her O Levels with a straight A result. She went on to do her A Levels from Resource Academia on a full scholarship. 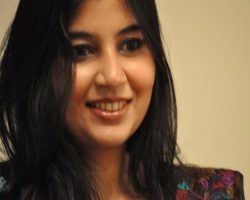 She was also admitted to the Lahore University of Management Sciences (LUMS) on a full scholarship under the university’s National Outreach Programme and was placed on the Dean’s Honour List when she graduated in 2010. She was the recipient of the prestigious Lady Viqar-un-Nisa Noon Foundation Scholarship to study at Oxford University, where she did her MSc in Social Anthropology. She is currently teaching Sociology at the University of Central Punjab as a permanent Senior Lecturer. 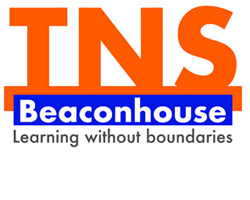 Asad completed his A Levels from Beaconhouse Margalla Campus in 2000. He gained admission to Guilford College, US and completed his Bachelor’s degree in Economics and MIS. He started his professional journey as a Market Analyst Intern at Salomon Smith Barney. In 2006, Asad completed his MBA in Finance from University of Mississippi – School of Business Administration, US. In 2006, he joined Deloitte & Touche, LLP as an ERS Consultant, where he worked for two years. In 2008, Asad joined Alberta Securities Commission as an Economic Analyst, where he worked for almost five years. He is currently working as a Corporate Finance and Risk Analyst at Talisman Energy in Calgary, Canada. Saad Pall graduated from Beaconhouse Margalla Campus, where he was a top scorer in Chemistry and Mathematics. He was also the President of the Science Society. 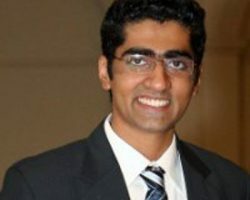 After graduating from Beaconhouse, Saad pursued a Bachelor’s degree in Electrical Engineering from National University of Singapore on a full scholarship. After graduating in 2004, Saad started serving in Accenture as an Analyst for System Integration and Technology. 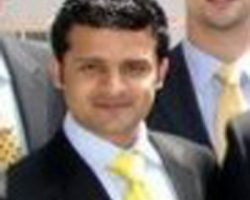 He joined Mobilink in 2007 as Senior Business Analyst (IT Strategy). 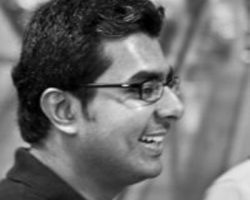 Saad completed his MBA in Strategy & Marketing from Emory University – Goizueta Business School, US in 2011, and joined the Coca Cola Company as an Assistant Brand Manager. He is also a member of the Fullbright Alumni Association and assists with the selection of Fullbright scholars from Pakistan. Currently he is the Jr Brand Manager at Coca-Cola TM. Aqeel graduated from Beaconhouse in 1995 and enrolled at the University of Michigan, US for a Bachelor’s degree in Mathematics. He went on to study Computer Science at the University of Nevada – Las Vegas, US. Aqeel has over 12 years of experience in Information Technology, covering aspects of development and design including infrastructure in the SharePoint 2010 and MOSS 2007 arena. He is currently working as Senior Manager at Cognizant Technology Solutions, US. Previously, he has worked with Avanade, EMC, Resolute Partners, and CPI Solutions in the US. Nadia Hussain, one of Pakistan’s supermodels, was a student at Beaconhouse Defence Campus, Karachi, known as Beaconhouse Public School back then. She completed her A Levels in 1998 and went on to study at Fatima Jinnah Dental College. She holds three distinctions in Dentistry, is a member of Pakistan Medical & Dental Council (PMDC), and a diploma holder/member of American Academy of Aesthetic Medicine. However, Nadia is better known for her career in showbiz. She is one of the country’s top models, an actress, and a TV show host. The multi-talented model has also launched a lawn collection in her name, a shoe collection called ‘Fetish’ and a skin clinic called ‘Radiance’ in Karachi. 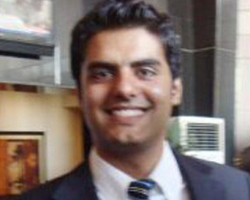 Zaid is currently an OEI Analyst at Coca Cola Beverages Pakistan Ltd. He has also worked as a Management Trainee and an Asset Analyst for Coca Cola Beverages Pakistan Ltd.
Zaid has a BSc in Economics, Finance and Mathematics from Lahore School of Economics. He did O Levels and A Levels from Beaconhouse Defence Campus, Lahore. Aarish Rahman graduated from Beaconhouse in 2002 and joined the Ghulam Ishaq Khan Institute of Engineering and Technology for a BSC degree in Electronics. He is currently working as Material, Process and Delivery Manager/Launch Organisation Manager at Procter & Gamble. Rameez Akram, a Senior Analyst at Barclays Capital, completed his A Levels from Beaconhouse in 2002. He graduated from National University of Singapore with a BEng degree (Major in Electrical Engineering). He is currently involved in software development, testing, and release to production. 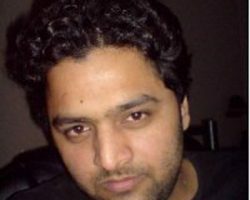 Rameez is a very talented developer, with a keen eye for detail and a ‘can-do’ attitude. He is knowledgeable, articulate, proactive and a tireless contributor who makes a great addition to any team. Rameez aspires to be an innovative and independent technologist with a focus on developing solutions in the finance and information communication sectors. He previously worked as a Developer at Columbitech, where he was involved in the specification, design and development of software in the wireless network security space.